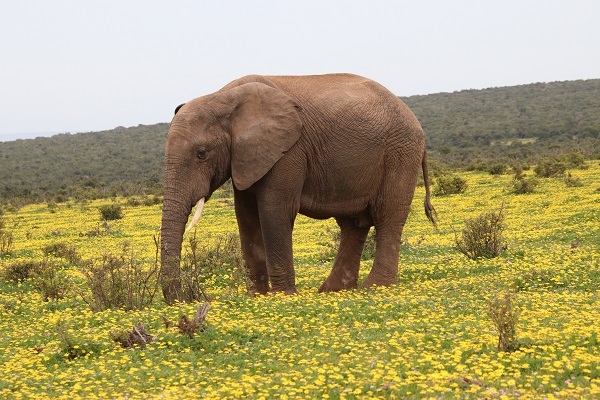 With flowers blooming in such abundance, which omnivorous, grazing or browsing animal can resist such a feast? 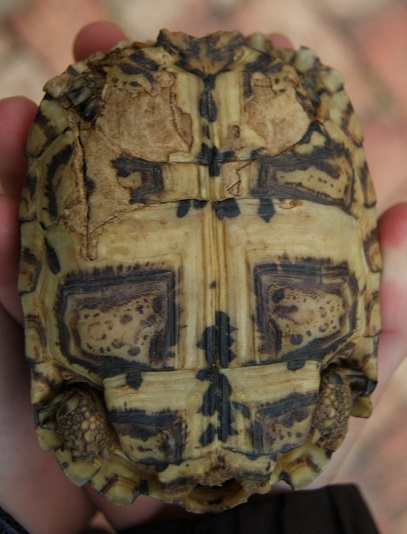 Certainly not this enormous Leopard Tortoise! 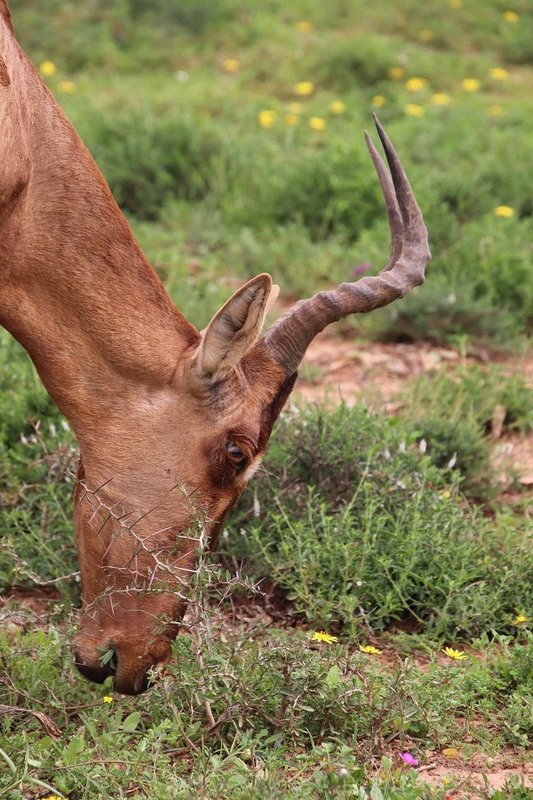 These photographs were all taken in the Addo Elephant National Park. 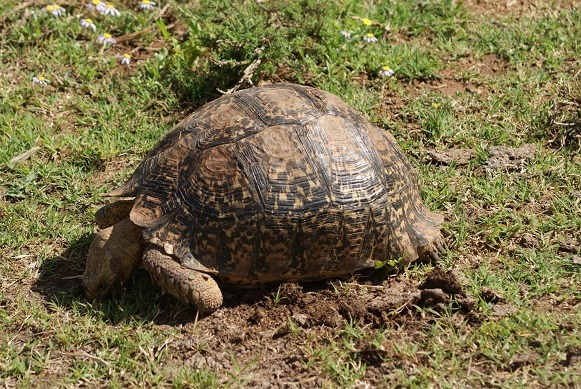 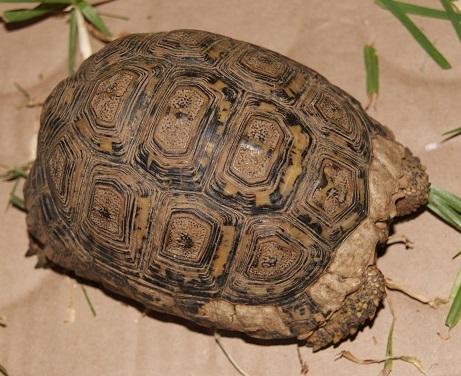 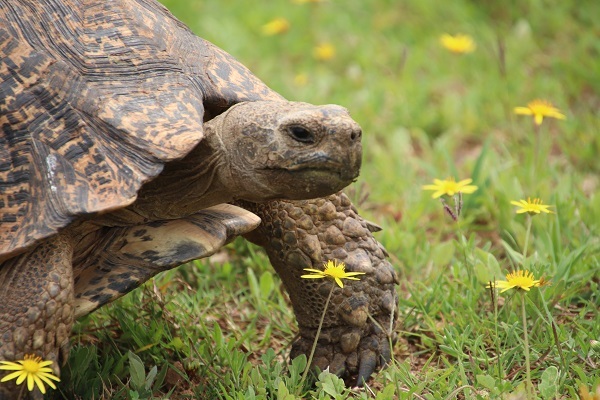 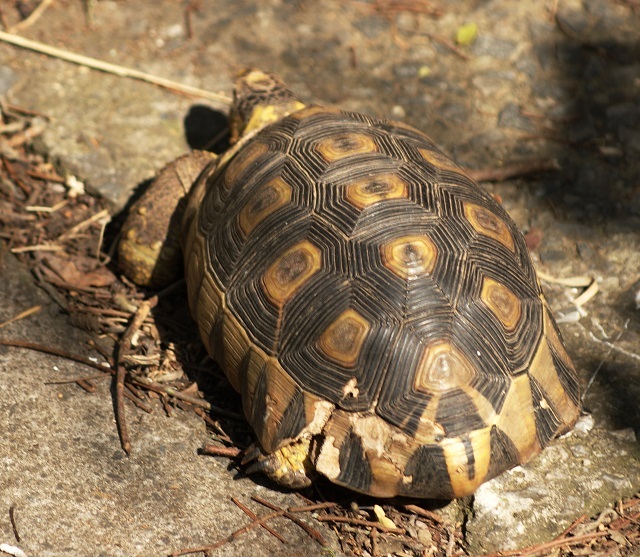 The Leopard Tortoise is also called a Mountain Tortoise in direct translation of its Afrikaans name, Bergskilpad. 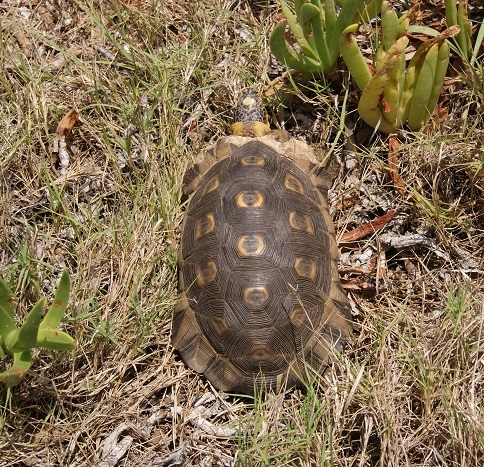 According to the SANBI, the genus name Stigmochelys is a combination of the Greek words stigma meaning ‘marked’ and chelone meaning ‘tortoise’. 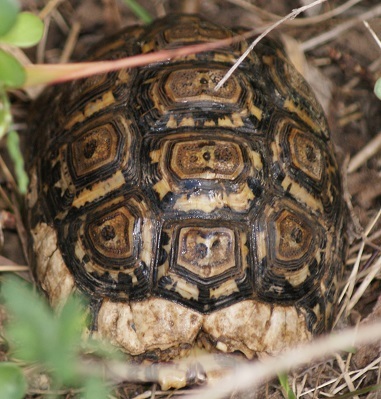 The specific epithet pardalis is derived from the Greek word pardos meaning ‘spotted’ after the spotted shell. 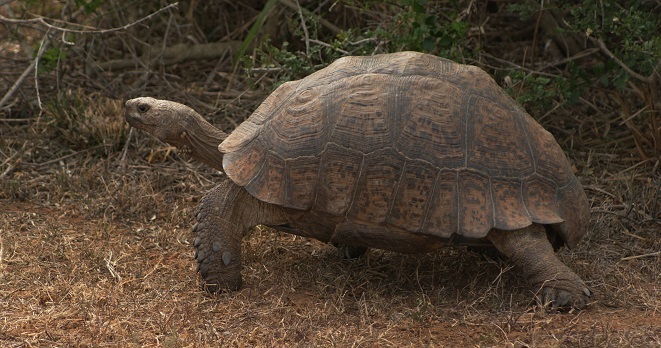 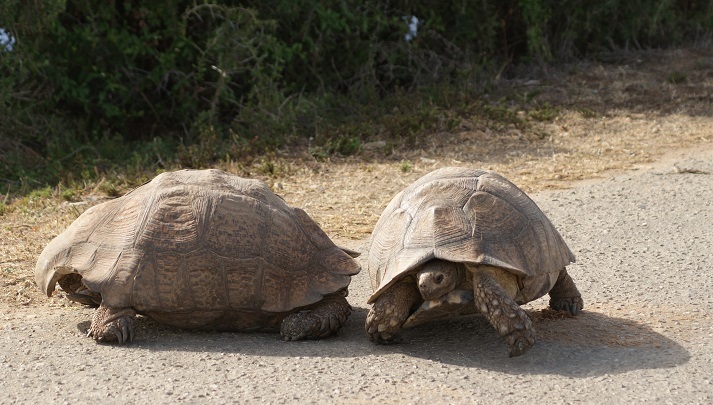 These are the largest tortoises in South Africa and are always a joy to see in the wild. 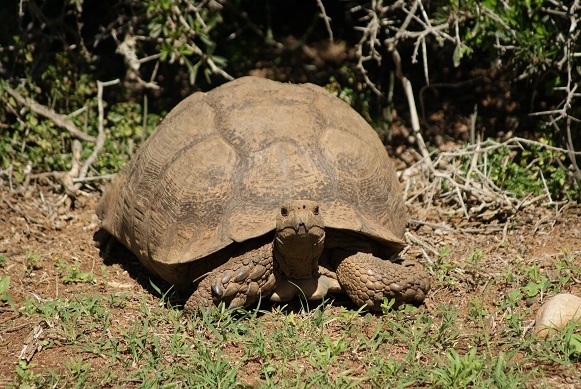 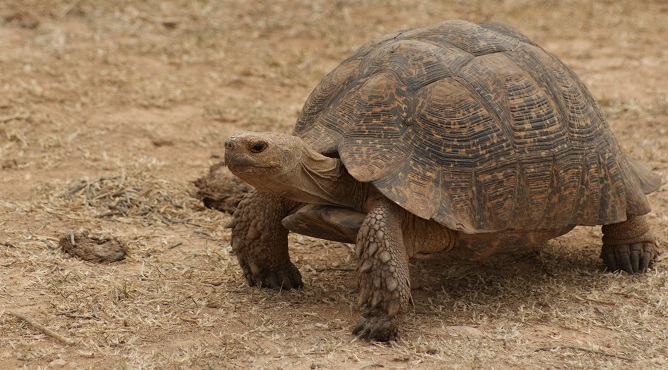 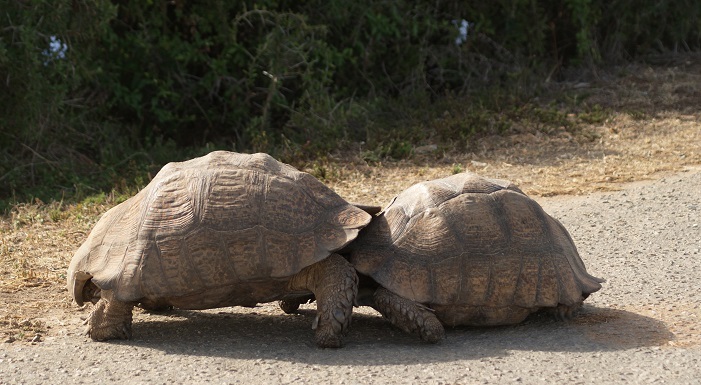 The Addo Elephant National Park is an excellent place to come across them – a visit there hardly seems complete without seeing at least one Leopard Tortoise. 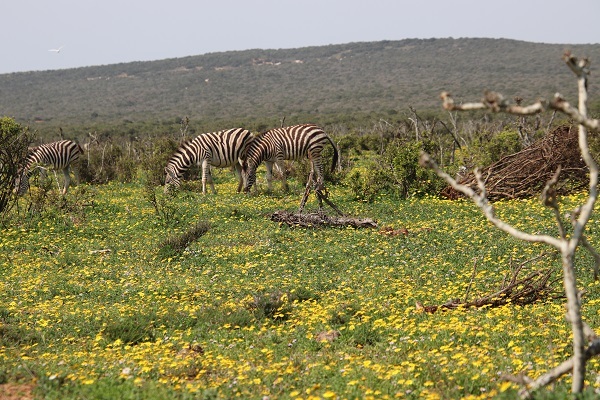 We have been fortunate to see several on our recent visits. 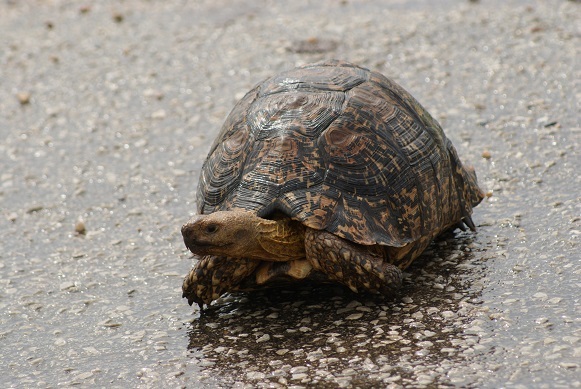 A light sprinkling of rain, gives this Leopard Tortoise a newly washed look as it crossed the tar road. 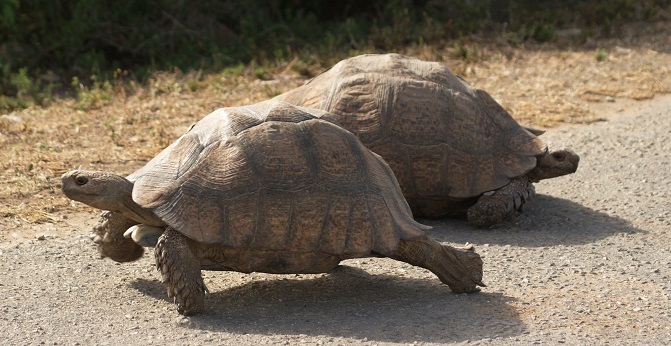 Because of the absence of a nucal shield, these are the only tortoises able to raise their heads – and the only ones that can swim! 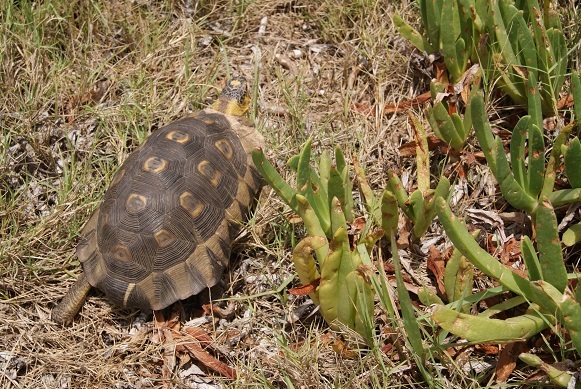 Here a Leopard Tortoise was making the most of the new green shoots of grass to emerge after the recent rain in the Addo Elephant National Park. 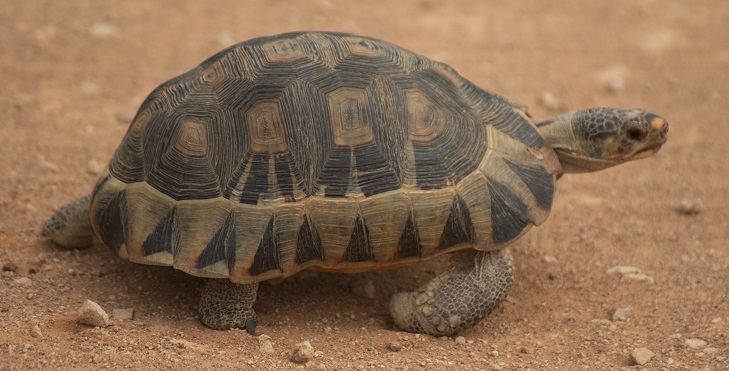 While they are mostly herbivorous, Leopard Tortoises have also been known to gnaw bones, and to eat carnivore faeces to obtain calcium for shell growth and the development of eggshells. 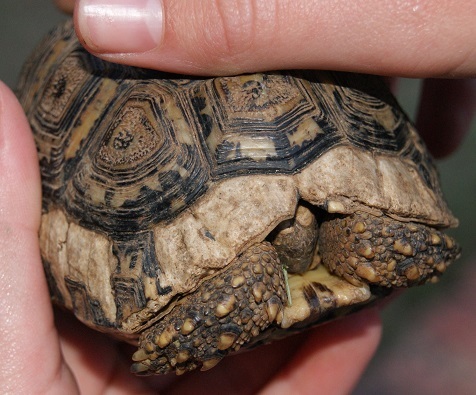 This one appears to have damaged its horny beak, giving it a gap-toothed look – although they are actually toothless. 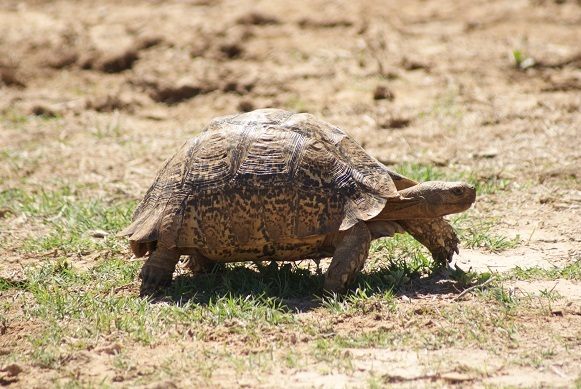 Even though they derive some liquid from their diet, Leopard Tortoises drink water readily when it is available. 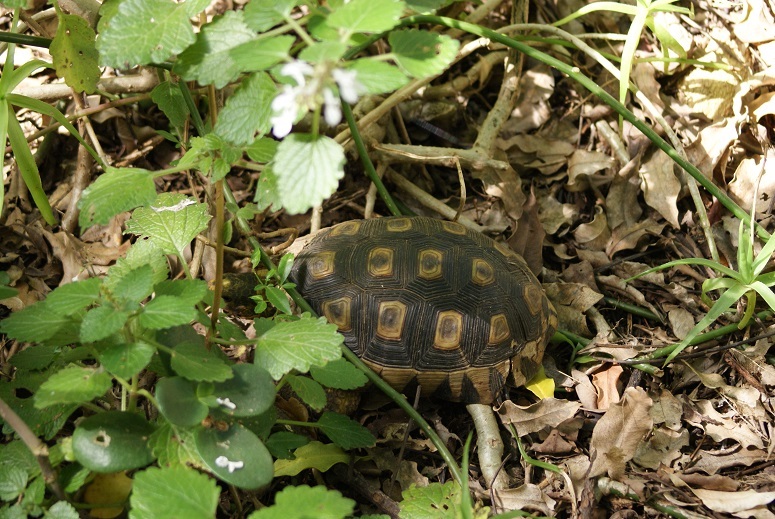 This one was making for the waterhole at Carol’s Rest at considerable speed!